I don't know about you, but I'm pretty pumped for Fall. It's my very favorite season! I just love all the crunchy leaves, the thick layers, and the wonderful colors. Not only do I love wearing Fall colors, but I love them on my lips too! 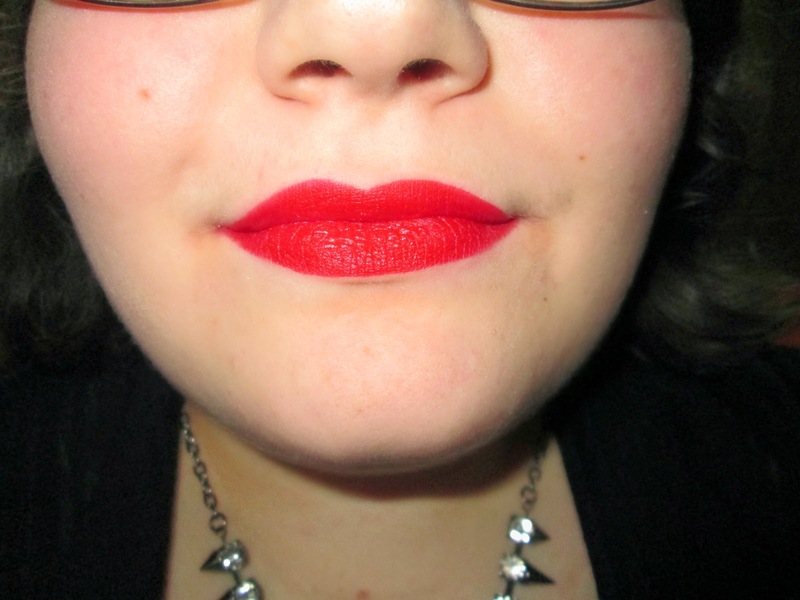 I've conjured up five of my favorite Fall lip products this year. If you are a lip product junkie like me, then you will truly appreciate how cheap and how beautiful these products are. 1. 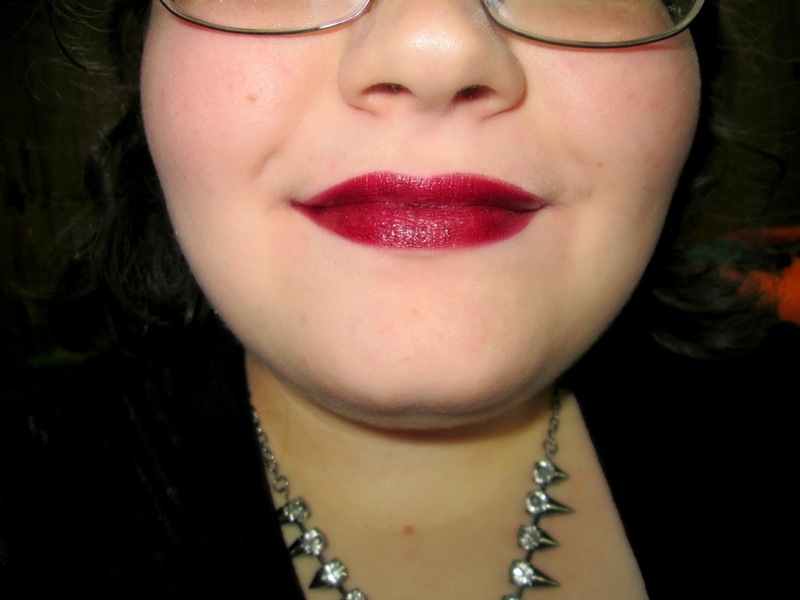 Elf Matte Lipstick in the color, Rich Red- I absolutely love this color! It cost me one dollar and I couldn't be more thrilled with it. The color pigmentation is fabulous as you can very well tell by the picture. It glides on so effortless and smooth. Also, if you have dry lips, this does not accentuate them I find. I developed pretty dry and flaky lips while photographing these swatches, so I would know! 2. Loreal Color Riche Lipstick in the color, 560 Saucy Mauve- This lipstick is the perfect "everyday" color to slap on and head out the door. It's this beautiful, natural, mauve color. I love it on my fair skin tone. I think that this color would even work on tan to dark skin tones as well. It seems like a pretty universal shade. It glides on smooth when applied, and has beautiful pigmentation as well. 3. Milani Color Statement Lipstick in the color, Uptown Mauve- Okay. Let's just sit here and appreciate how stunning this pink/purple shade is. Are you staring? Are you appreciating? If you wanted to wear something pink in the Fall season, this is definitely your shade! It is super gorgeous! 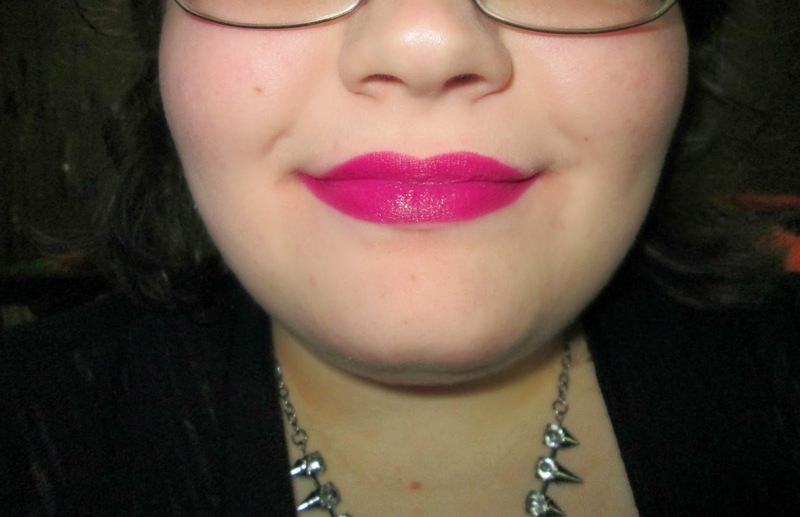 The color pigmentation is equally as fabulous as the other lipsticks mentioned previously. This lipstick also smells like some kind of candy. I'm not even kidding! I thought that was a pretty sweet bonus. The lasting power is really wonderful as well! I'm telling you, shop for drugstore lipsticks! They're the best! 4. NYC Liquid Lipshine Lipgloss in the color, Midtown Mulberry- This is a brand that I was really surprised about that had great lip products. I was a bit skeptical to try it out at first, because I haven't had much luck with their products. I really should have given their lippies a chance because this lipgloss is awesome! It stays on forever! Even when the shine goes away, you still have the beautiful color left underneath. Lesson learned. Never judge a company by only a handful of products. Another thing I really love about NYC is that their products are super cheap. They are now a new favorite. 5. 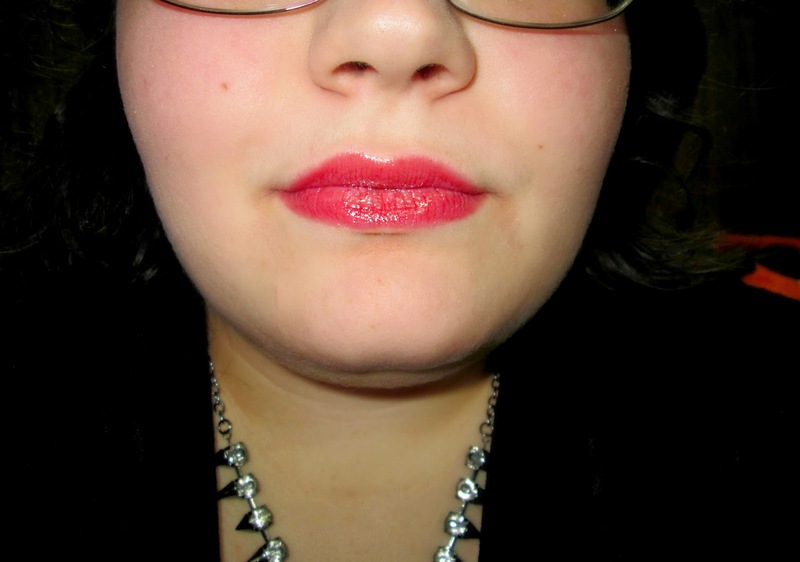 Maybelline Moisture Whip Lipstick in the color, Rare Ruby- I have had this lipstick for a long, long time and I love it! Most of the time I wear it more sheer, but as I've gotten older, I've been experimenting with brighter and darker shades. This lipstick is definitely moisturizing just like its title claims. My lips never feel dry when wearing this, so that's extremely awesome! I actually purchase this at a Dollar Tree for one dollar which you just can't beat! Am I right, ladies? Do you have any go-to lipsticks for the Fall? Let me know in the comments so we can discover new lip products together!